I’ve got bad news and bad news. According to a recent study done by Pew Research, 7 in 10 Americans identify with the Christian tradition. I know as a Christian, the idea of someone “identifying with the Christian tradition” does not lead me to think they necessarily are Christians. However, at least 70% of Americans have some connection to the Christian faith. 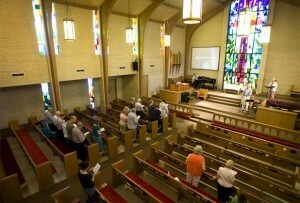 The Associated Press article about the Pew survey stated that “the ranks of Christians have declined as the segment of people with no religion has grown.” In response to the lack of interest in religious affiliation by a growing number of Americans, researchers have created a category of people called “Nones.” The survey points out that in the last seven years, those who call themselves agnostic or having not particular faith grew frpom 16% to 23%. Christians dropped from 78% to under 71% of the population. Here’s the other bad news. : “While many U.S. religious groups are aging, the unaffiliated are comparatively young – and getting younger, on average, over time.” In other words, we are finding that more and more younger adults are not only disinterested in church. They are not interested in Christianity at all. Another study showed that only 2 out of 10 Millennials (people who are 30 years old or younger) think church attendance is important. Thirty-five percent of them take an anti-church stance. The good news is that God is still at work in the United States, and you and I can join Him in changing the world. If Christians will wake up and get to work, maybe the next Pew study will show these numbers in a different light. 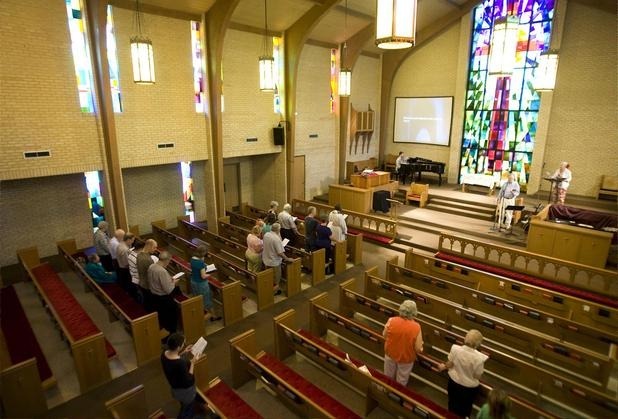 Why do you think there is a decline in church attendance in America? This entry was posted in Christian Life, Culture, Ministry, United States by timriordan. Bookmark the permalink. It is the downfall and demise of the oldest institution in the world! as with all polls they cant or dont show the “whys” for results. In this case, they dont mention that these drops are in a big way effected by the millions of illegal immigrants with tons of kids tagging along with them and then that is all they do once here;;;have more babies. My guess is 70-80% are NOT Christian even though seems like all Mexicans claim to be Catholic and automatically a Christian.?? ?